Mister Rogers shows a picture of Astronaut Al Worden and shares that he will be visiting later today. He also shows a package of films from NASA that was delievered for Mr. Worden. 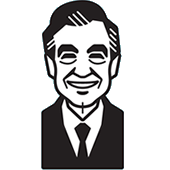 Mister Rogers spends some time talking about using your imagination before he sings Pretending. Remembering his last visit with Astronaut Worden, Mister Rogers shares a film of a rocket launching with Mr. Worden's explanation of why the launch process is so firey and loud. In the Neighborhood of Make-Believe, Lady Aberlin shares a photo of Astronaut Worden and informs everyone that he is on his way to the Neighborhood. When he arrives, Astronaut Worden helps Lady Elaine Fairchilde jump to her pretend moon and is turned upside down when he asks to see to Lady Elaine's boomerang in action. He compares his inverted state to the weightlessness of real space flight. Turned right-side-up, Astronaut Worden is taken by Handyman Negri to meet King Friday XIII. 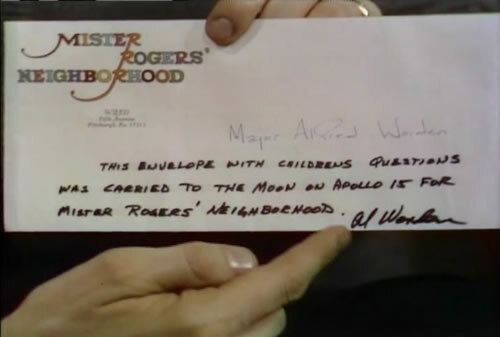 Back at the house, Astronaut Worden arrives and presents Mister Rogers with an envelope of questions from children about space travel. Mr. Worden had taken the envelope with him on his trip to the moon. Sharing a few of the questions, they watch a recording of Mr. Worden's responses filmed prior to his Apollo 15 mission. While watching the film clips sent by NASA, Astronaut Worden discusses his important responsibilities in space. Mister Rogers mentions that Al Worden will be picked up at the airport by Mr. McFeely and his astronaut friend will "stay with my family and me tonight." 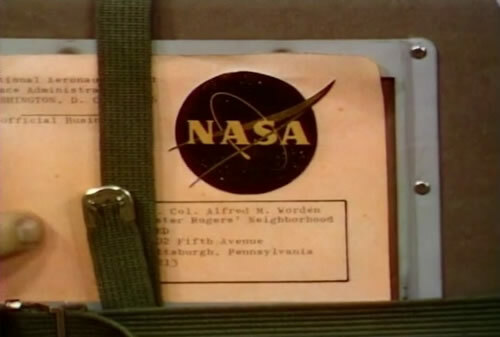 The package from NASA is addressed to the WQED -- the Pittsburgh filming location of Mister Rogers' Neighborhood. 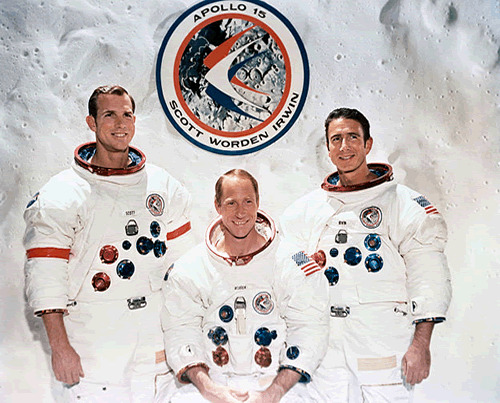 The previously filmed footage of Al Worden was filmed at Cape Kennedy prior to his moon mission. Apparently the envelope of questions was actually taken to the moon by Al Worden. 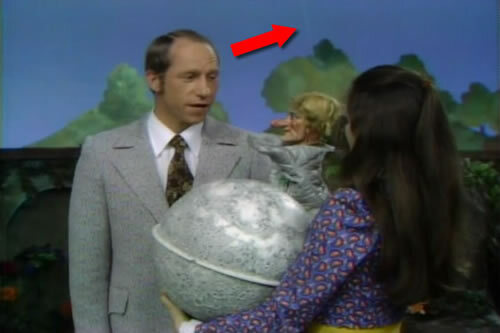 After Lady Elaine Fairchilde has jumped to her pretend moon, the string attached to the puppet (used to help her "jump") is clearly visible on camera. I Like To Be Told plays in the background as Mr. Worden opens the package of films. Mr. Worden mentions his fellow astronauts -- Dave Scott and Jim Irwin -- by name. These three men were crew members on the 1971 Apollo 15 mission. Prior to showing Astronaut Worden's film, Picture Picture is showing Van Gogh's "Starry Night."